← I like seeing him. But he doesn’t like seeing me. We go for fish and chips, because that’s his favourite. It’s not my favourite . There’s no doubt that Oliver had a great time and that his dad loves him, but is this real achievement or sentimental tokenism. This was published by the Down’s Association on Facebook today What’s your view? 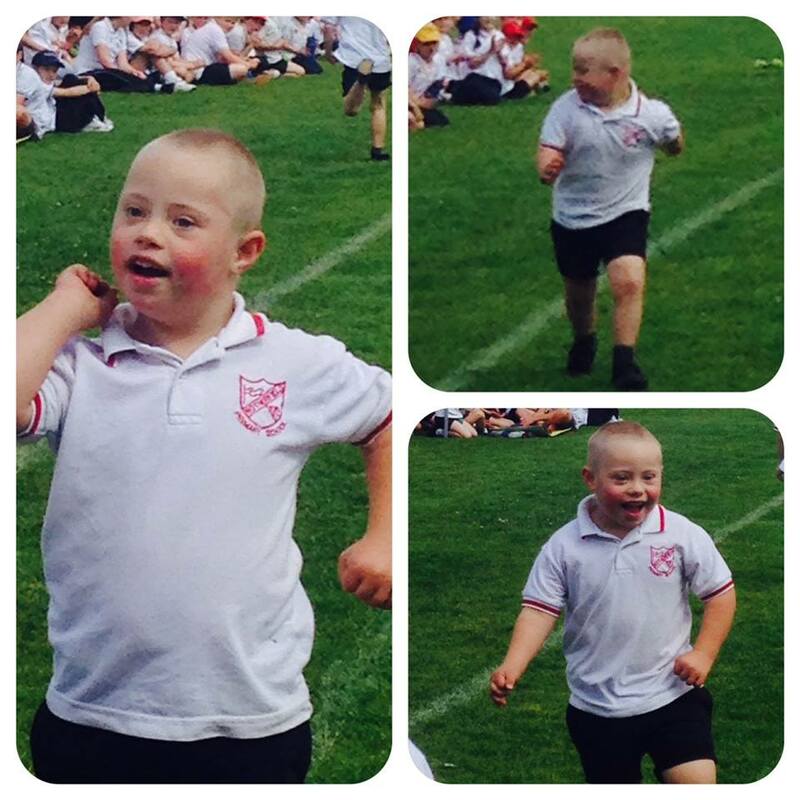 ‘Oliver set off in the wrong direction, then unconventionally for a sprint he had a sit down, then with some coercion, he continued at a plod, roared on by the entire school and cheered and clapped by all the parents as they willed him to the finish line. He triumphantly turned to the wild supporters and punched the air with a roar! There was barely a dry eye on the field! Last place by about 5 minutes but a heroic effort to match Eric the Eel and loving it!